Veronika has been involved in dog rescue for over 5 years. She volunteers at adoption events, walks and trains dogs at the local shelter and is involved in the day to day operations of rescue. She has fostered more than 300 dogs in her career. With a masters in business administration and over 10 years of experience in Business Operations, Veronika will be managing the rescue side of the organization. Two years ago Veronika fulfilled a dream and moved to the country with her fur-babies Maya, Cinch, Sweet and Lilly. She also shares the property with 6 chickens, a parrot, and soon, goats. She is now looking forward to partnering with a wonderful team and starting a rescue and consulting practice to be able to help more dogs! Stephanie has been a part of the rescue community for the past 5 years. Including volunteering at adoption events, recruiting additional volunteers, participating in fundraising events. She has been a foster mom to over 150 dogs and puppies and couldn’t imagine life without a few fostering. With an extensive background of management positions, including district management, leading groups of anywhere from 5-40 employees at any given time provides a multitude of transferrable skills which will help in multiple ways through out the rescue. She has a love of all breeds, but has worked mostly with the "littles" as the group likes to call them. Stephanie has three dogs, Skato, Mya and Odin. She is very much looking forward to a life long dream coming true with this rescue and helping save more lives by educating the public. 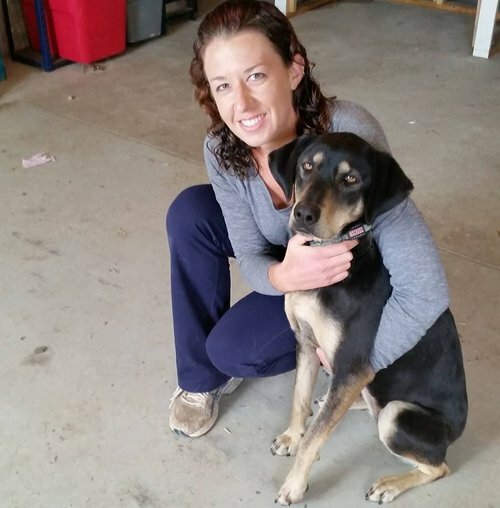 Angela is a life-long animal lover who is an adopter and foster of rescue puppies and dogs. She is a mother, runner, middle school cross country coach and loves camping and hiking in our beautiful state. She dreams of one day selling concessions at a Bronco’s game, just once, using her mad carnival barking skills to sell beverages….."Get Your Ice Cold Drink Here!!" She began fostering puppies and dogs in October of 2015 and the experience of fostering and volunteering in the rescue field has not only brought her and her family immense joy it has shattered many fallacies. Everything from stereo types about breeds to puppy mills to preconceived notions that shelter pets must have behavioral problems. Meeting a group of rescue volunteers that had already given many years to the rescue cause and having a wealth of knowledge on pets and rescue they inspired her to do more. She has joined forces with this incredible team and looks forward to helping shelter pets find their forever homes. Karrie grew up consistently surrounded by animals and has been an animal advocate for her entire life. It wasn’t until about 5 years ago that she was given the opportunity to be involved in rescue and was immediately hooked. She has dedicated countless hours to adoption events, walking dogs and making sure that every dog is cared for as if it were her own. Karrie shares her home with a blind great dane, a black lab and her heart and soul, Jack, a one-eyed chihuahua mix with a personality bigger than he is. Now, becoming a proud part of the Good Dog Rescue only increases her passion and love of animals and desire to fight for their abilities to grow in a safe, loving atmosphere. The idea that Good Dog Rescue can speak for those animals who are most neglected and work as a team to provide safe, loving homes for them inspires her. There is no dog more loving than the one that has been given a second chance at life. Michelle has been active in animal fostering & rescue for 5 years. Since childhood she's reunited stray dogs with their owners, sheltered neighborhood cats & rehabilitated any tiny injured animal in her parents' garage. Equipped with her masters in business administration and 20 years experience in IT leadership she educates the community and works with animal organizations to end the plight of homelessness and neglected of animals. The beloved pit bull & the people who love them hold a special place in her heart and have become a focal point in her advocacy. When she's not standing up for pits, walking shelter dogs or networking homeless animals, Michelle can be found with her two fur babies Bailey & Brad, teaching Zumba or cheering on her favorite football team, the Denver Broncos. 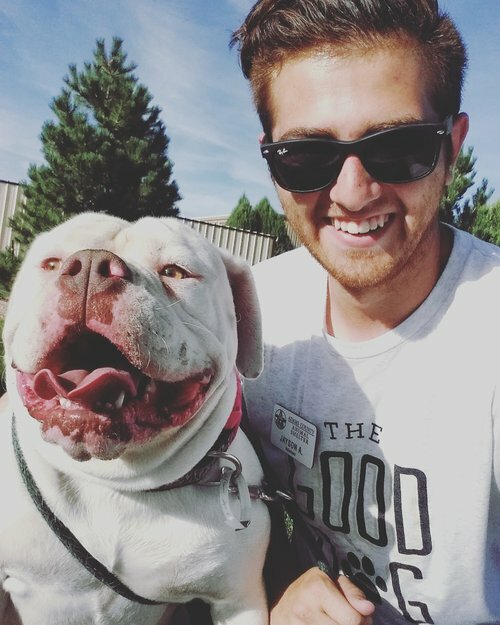 Hi, my name is Jayson and I am the owner and head trainer at The Good Dog Project. I have a passion for dogs and the people who own them. I'm a dog owner, certified dog trainer and animal shelter volunteer. I went to Catch Canine Trainers Academy to obtain a better knowledge of dog behavior and graduated with a certificate in pet dog training (CPDT). With my five years of experience in dog rescue and shelter work, I have seen and handled a wide range of behavior issues. In addition to my role at the shelter, I also foster dogs. Living with dogs who have issues like: separation anxiety, leash reactivity, resource guarding and just general unruly behaviors gives me the ability to relate to what you may be going through right now. I have a wide range of knowledge of each issue and how to work with them. Each dog and situation is different and we will work together to help you and your dog build a better relationship. I will be working with both sides of the organization, consulting on dog behavior and working directly with people.